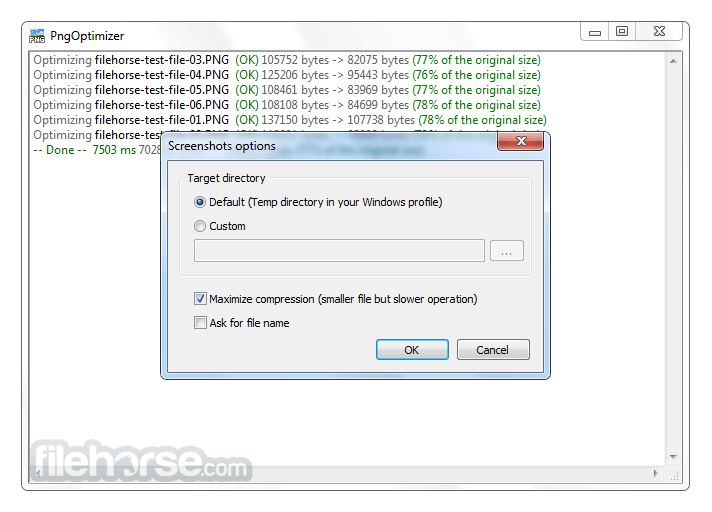 PngOptimizer can clean your PNG files of useless or wrong information, make your PNG files smaller, convert into PNG other lossless image formats (BMP, GIF, TGA), and create PNG screenshots and make them easily available. Make your website faster and save bandwidth. PngOptimizer optimizes your PNG images by 20-80% while preserving full transparency! This software for image and photo optimize uses a smart combination of the best optimization and lossy compression algorithms to shrink JPEG and PNG images to the minimum possible size while keeping the required level of quality. Cleans your PNG files of useless or wrong information. Reduces your PNG files weight. Converts into PNG other lossless image formats (BMP, GIF, TGA). Creates easily available PNG screenshots. Offers a simple and productive user interface.